The Dementia Friendly Garden Team (Newtown Saunders, TrinityHaus and Sonas apc) will visit your garden. The DFG Team will evaluate the needs of the residents and staff. The DFG Team will design a garden to suit the needs of the residents and staff. 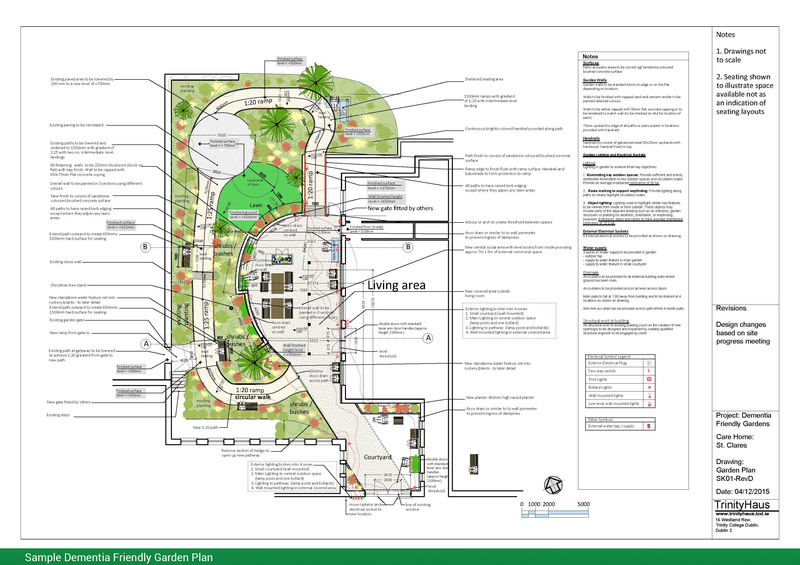 The DFG team will provide a set of plans for the garden and an accompanying report to explain the plans in detail.